During the last decades the economy has undergone a huge transformation in terms of telecommunication industry evolution. The use of mobile applications has been generally accepted in society but still little is known about how customers use these applications and how managers can obtain high levels of return on their investments in this domain. The Technology Acceptance Model (TAM) has been used for several years to predict the attitudes and behaviours of consumers of mobile services. However, several authors have recognized the limited applicability when it comes to explaining mobile service acceptance by customers. 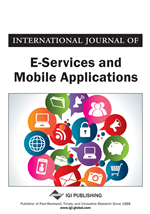 This paper uses a meta-analytic approach to review the acceptance of mobile services and analyse the relationships between TAM variables and consumer acceptance of mobile services. The authors searched all available academic computer databases to get a deeper understanding of this topic and uncover the most significant drivers of mobile application acceptance by consumers. Mobile phones and applications have profoundly transformed our economy in recent years. Today, almost everbody in developed countries has at least one mobile phone and daily uses a range of mobile applications. The telecommunications industry has transformed the way people behave, how they buy products or interact with family and friends. The mobile phone service market in recent years has grown fast and has been the most fiercely competitive market within the telecommunications service industry (Chuang & Tsaih, 2013). Originally, the main purpose of mobile phones was communication between peers, but with time, entertainment services, such as games or instant message have evolved to become the new standard in communication. As a result, we observe how all kinds of mobile applications have changed the industry in a way that was never imagined (Luo et al., 2011). Today's mobile phones are equipped with functionalities that surpass communication needs and inspire the development of new value-added mobile applications (Dahlberg et al., 2008). These applications can be used in a variety of scenarios, including location-based services to search for a restaurant (Pura, 2005), to advertise information to customers about a new product/service (Tsang & Liang, 2004), to undertake mobile banking operations such as bank transfers (Ghobakhloo et al. 2013; Luarn & Lin, 2005), to enable mobile commerce with micropayments in supermarkets (Massoud & Gupta, 2003; Zhou, 2012b), to book a ticket for an opera, train or flight (Dahlberg et al., 2008; Juntunen, et al. 2012), to maintain a chat conversation with friends (Nysveen et al., 2005a), to participate in online games with peers (Nysveen et al., 2005b), to visualize videos or all kinds of multimedia anytime and anywhere (Pagani, 2004), to locate your vehicle in a parking lot (Pedersen, 2005), to control your financial services and account instantly (Lee et al., 2012; Selvan et al. 2011), etc. Generally speaking, mobile applications are becoming increasingly important to firms and consumers (Nysveen et al., 2005b). However, are firms and industry aware of what drivers empower consumers to use this kind of applications? What is the best way to attract and encourage consumers to continue using these applications? The answers to these questions traditionally have been sought by applying a theoretical model, such as Technology Acceptance Model (TAM) to this domain to get a deeper knowledge of mobile application acceptance by customers. This TAM model was originally based on the behaviors of employees when new technologies are launched on the marketplace, and it proved to be useful for predicting patterns in similar information system contexts such as applying psychological factors to IS and computer adoption (Schepers & Wetzels, 2007). However, in recent years the Technology Acceptance Model (TAM) has been extended to TAM2, UTAIT and TAM3 by incorporating other determinants of IT acceptance, such as subjective norm (Venkatesh, 2000), perceived enjoyment (Davis, 1989), subjective norm (Lu et al., 2005; Pedersen, 2005) or perceived enjoyment (Cheong & Park, 2005; Ha et al., 2007; Hong & Tam, 2006; Nysveen et al., 2005b). All these incorporations to the original TAM model proposed by Davis (1989) have brought some doubts about whether this model, as well as the subsequent improvements discussed, are the most appropriate models to explain customer acceptance of mobile applications.